Richland County authorities in conjunction with the FBI have confirmed a male subject identified as Joseph Jakubowski is in custody. Law Enforcement Agencies were notified at approximately 8:30 PM on 4/13/2017 and a perimeter was established. Other agencies arrived and Jakubowski was taken in to custody at 6:04 AM. Joseph Jakubowski was a subject of a nationwide man hunt by the FBI, ATF and Rock County Sheriff’s Department since he was identified in the robbery of a gun dealer in Janesville, Wisconsin last week. Jakubowski was at a property on County Hwy U south of the village of Viola, and was discovered last evening by the land owner. The land owner called the Vernon County Sheriff’s Department to report the male subject on his property. When authorities investigated, it was felt that the male was possibly Jakubowski. Richland County authorities were notified and responded with Vernon County to the area and established a perimeter . The Richland County Special Response Team responded along with teams from Vernon and Crawford County. Sniper teams were also deployed and authorities utilized an armored vehicle when the subject was approached. At approximately 6 AM, it was reported Jakubowski was in custody. Agencies involved in the operation included the Vernon County Sheriff’s Office, Richland County Sheriff’s Department, the Crawford County Sheriff’s Office, La Crosse County Sheriff’s Office, Rock County Sheriff’s Office, Federal Bureau of Investigation, Wisconsin State Patrol, Readstown Police Department, La Farge Police Department, Richland Center Police Department, Wisconsin Division of Criminal Investigation, West Central Metropolitan Enforcement Group, Middleton Fire Department (UAV air support), Readstown EMS, Kickapoo Rescue Squad, and the Vernon County Emergency Management. 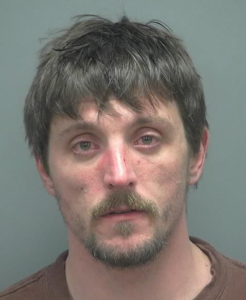 Further media inquiries concerning the investigation and custody of Joseph Jakubowski can be directed to the Rock County Sheriff’s Office at (608) 757-5255.